Sorry in advance for the text heavy post today!! As I mentioned a few weeks ago, my back and I have not been on the best terms for about a year now. Over a year ago, I pulled a muscle in my lower back during a workout that landed me in the ER to get a cortisone shot, pain medicine and the recommendation to go to physical therapy and get a massage. A doctor telling me to get a massage? A great excuse to sign up for monthly massages, which I did. For the next year, my back continued to get worse despite the numerous efforts I made. I relied on daily ibuprofen and monthly massages which masked the pain but never fully took it away. With my active and traveling lifestyle, having back problems are not ones you want when cycling 5x a week or sitting on 5 hour plane rides. As my pain from the lower back was joined with muscle pain in my mid back I knew that I had to get the issue solved. Needless to say, I have seen more doctor offices in the last two months than I have in the last few years. Apart from physical therapy and massages I received a cortisone shot for my lower back as the pain was centralized to the left sacroiliac joint (damn my desk job of sitting 8 hours). However, the doctors identified my lower back pain and mid back pain as two separate issues. The mid back muscle pain was due to pulled muscles that have essentially been knotted for a long time. My doctor recommended acupuncture to unknot the mid back muscles and get the pain taken care of. I had conflicting feelings, on one hand if it worked, I did not care what I needed to do. Yet on the other hand, multiple needles in my body? No, thank you. Well I sucked it up and made my first acupuncture appointment. So what exactly is acupuncture? My first appointment started after talking about my issues with the lower and mid pain. The doctor explained that they would have me lie face down with they put thin needles in trigger points on my back where my pain was centralized. The insertion of the needles was a micro second prick. For my appointments, the doctor puts anywhere from 6-14 needles in my back (lower, mid and upper), my hip and the back of my knees. After the needles are inserted there are two methods to “stimulate” the muscles. One method is by twisting the needles in one full circular motion. Although it does not sound pleasant, I have never felt more than the initial needle prick. The second method is by way of an electric current which is passed between the needles. The electric current is barely felt which causes no pain, just a soft butterfly feeling on her skin. My favorite part of the appointment is after the doctor has put the needles in her back, they turn on a warmer, turn off the lights and tell you to nap. Seriously? A chance to nap in the middle of the day, count me in. The first time I just closed my eyes wondering how long it would be. The doctor checked in about half way through but the standard time to lay down in 20-25 minutes. Then they remove the needle and you go home. Yes, it is that easy, painless and quick. The results? I have nothing but wonderful things to say about MY acupuncture. Not only do I feel better immediately after an appointment, in the long term, it completely erased my mid back pain by the third visit. My lower back pain has decreased by about half with my hip pain being completely eliminated. How is that for results? If you had told this needle phobic girl a few years ago that I would become a person who regularly goes to acupuncture I would have laughed in your face. Let’s just say needles and I were not the best of friends. While I still don’t love them, acupuncture has made me more comfortable with them. I know that acupuncture is not for everyone but I also know that many people are probably like me, not knowing what to expect and worried about having needles in their body. Now I know that the fear was unwarranted and the benefits of acupuncture are worth it. 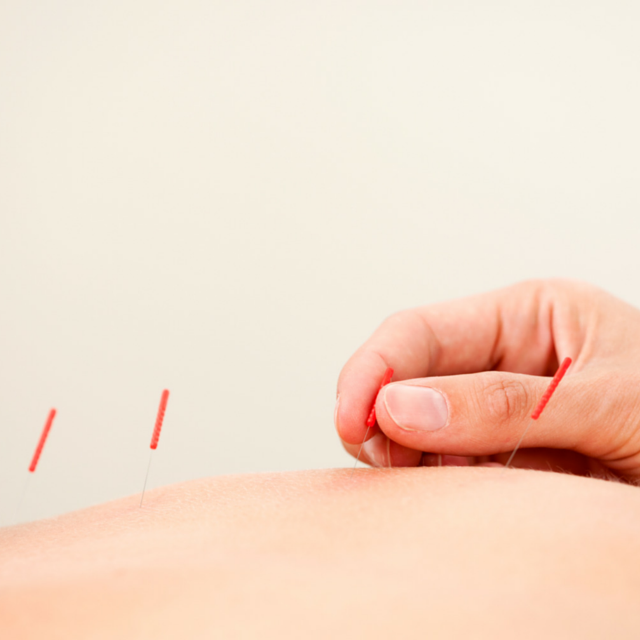 Tell me: Have you ever tried acupuncture? If not, would you? Disclaimer: Please check with your doctor before beginning any form of pain relief i.e. acupuncture. I am definitely not a doctor. I’m simply sharing what I’ve learned through my own experience and questions. This entry was posted in Acupuncture, Fitness and tagged Acupuncture, Fitness. Bookmark the permalink.